New segment here on Pan and Slam. For the many followers and movie fans that cannot make it to the theater all the time, here is a section dedicated just to give those readers advice and options on what they can find via online movie streaming services. Hopefully the films here will broaden your movie horizons and not just be the same old big studio movies you can find On-Demand or at your local multiplex. 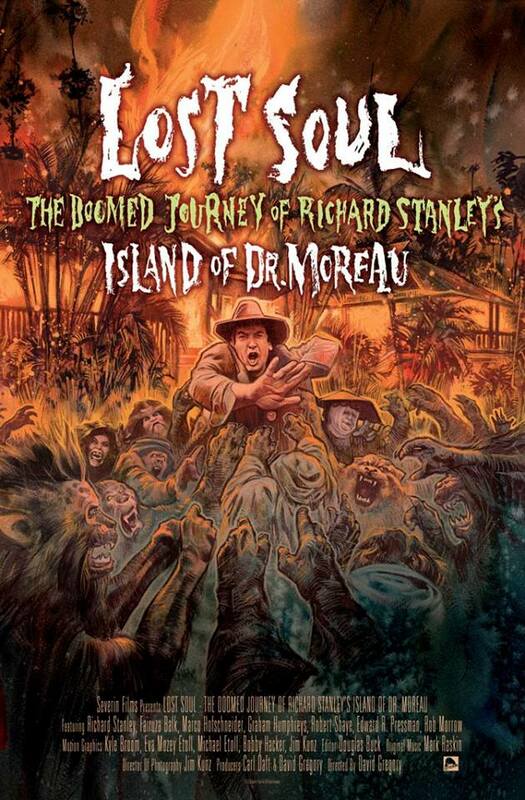 The first selection for this new section is a documentary entitled Lost Soul: The Doomed Journey of Richard Stanley’s Island of Dr. Moreau. One of the best films about filmmaking other than Hearts of Darkness (1990) about the making of Apocalypse Now (1979). However unlike Francis Ford Coppola’s Vietnam epic which would go on to win awards and be regarded as one of the greatest movies of all time, The Island of Dr. Moreau (1996) starring Marlon Brando and Val Kilmer, is just the opposite. It is at best regarded as a forgotten movie that was dumped in late August on its release and at worst often hailed as one of the worst movies of all time. This documentary sheds light on how difficult the production was and how hard it really can be to actually make a movie. For anyone who has seen The Island of Dr. Moreau whether you like it or hate it, this will make for a very interesting watch. Even if you have not, it plays like a tragedy more than it does as a documentary as you see how it ruined Richard Stanley’s career because until this point he was an up and coming visionary director and has disappeared from filmmaking in every way since this movies monumental failure. Also very interesting are that both this film and Hearts of Darkness involve Marlon Brando wreaking havoc on the set where the only thing bigger than his waistline are his ego and his utter contempt for the acting profession. Lost Soul: The Doomed Journey of Richard Stanley’s Island of Dr. Moreau is available to stream through Netflix. Watch the trailer below.